Did somebody mention a potential letdown? Michigan‘s loss to Ohio on Friday night may have sent some signals across the tournament that the rest of the B1G teams may be vulnerable, but Saturday turned out to be great for the historical conference. Three Big Ten teams flexed their muscle to prove to the nation that they might not always be flashy in their winning ways, but they are definitely the toughest, both mentally and physically. Wisconsin, Indiana, and Ohio State faced adversity during their games, but they showed great composure to pull out with a huge wins as they advance to the Sweet 16. The following are a few thoughts from Saturday’s action. Jared Sullinger and Ohio State earned their win against Gonzaga on Saturday. Mark Few had the frontline to challenge Ohio State. Robert Sacre and Elias Harris have the physical tools to hang with Jared Sullinger and they certainly did that during the first half of the game. Gonzaga owned the glass during the first 20 minutes which resulted in a 52.9% offensive rebounding rate. Matta’s crew did a great job of hitting the boards in the second half which led to a bruising win. Sullinger scored on two key possessions during the final minutes from the post, and that’s exactly what Matta expects from his star player in the clutch. 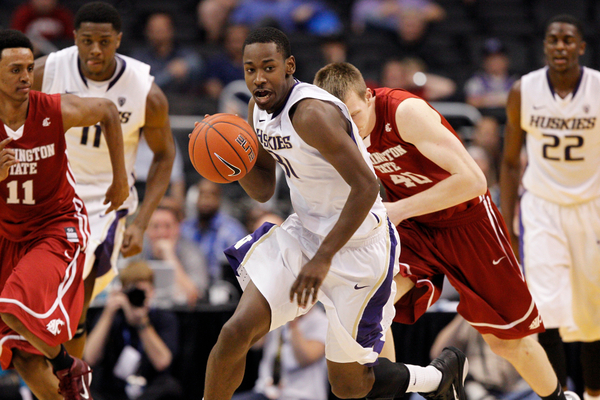 Aaron Craft and William Buford were committed to feeding the post. When Ohio State is patient with their shots from beyond the arc and go through Sullinger consistently, they are a handful for rest of the teams in the tournament. 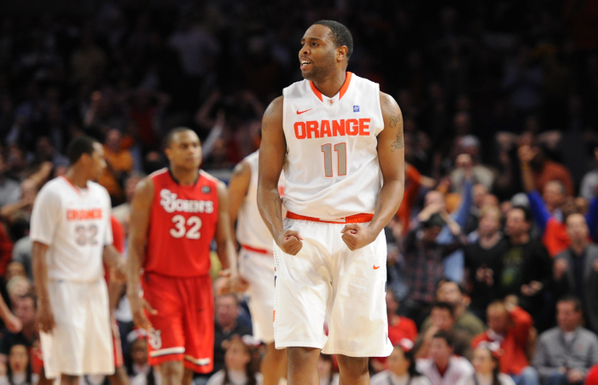 The guards need to be persistent including Deshaun Thomas. If Sullinger doesn’t get a good position the first time, the ball needs to come back out and Craft needs to find him again until he gets a good position in the post. Sullinger ended up with 18 points for the game and he earned every one of them. Aaron Craft was able to control the tempo during the second half by locking down Gonzaga’s Kevin Pangos. Craft assisted or scored on 44 of the 73 points during the game but as usual, his defense was a more important key to the victory. Pangos was stifled on the perimeter as he missed six out of the eight three-point attempts. Craft’s defense limited him to 3-13 from the field and just ten points. Thad Matta‘s Buckeyes took a few jabs throughout the game and punched back to make the Sweet 16. Vanderbilt Struggles To Close. The Commodores led by as much as 18 in the second half, but struggled to close out against a game Harvard team late. The Crimson used a 14-3 run over 2:30 to get back within five late, but an ill-timed turnover killed the momentum. Still, for a Vanderbilt team with a history of losing opening round NCAA Tournament games, their performance down the stretch was not confidence-inspiring. In the final five minutes, they turned the ball over three times and missed three free throws while Harvard hit clutch shots. 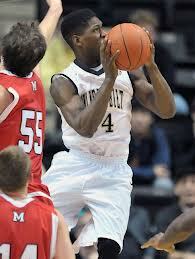 Now that the Commodores have that NCAA win under their belt, maybe they’ll finish stronger in the future. Too Much Size and Athleticism. At one point in the middle of the second half, Vanderbilt’s Jeffrey Taylor picked the pocket of a Harvard guard, leading to a breakaway on which he threw down a massive, soaring dunk. And throughout the game, Festus Ezeli blocked shots, rebounded and scored above the rim, while being able to step out and challenge shots away from the basket. While these types of athletes may not be typical for Vanderbilt, they were certainly the difference today. Six-Point Swing. At the start of the second half, Harvard junior forward Kyle Casey blew a dunk that led to a Vanderbilt breakout, on which John Jenkins pulled up and hit a three-pointer in the process of getting fouled. The made free throw turned it into a six-point swing in the Commodore favor, a total that could have made the pressure on Vanderbilt even tighter in the end-game. Star of the Game. John Jenkins, Vanderbilt. Jenkins was the one guy to finish the game with confidence, knocking down game-sealing free throws on top of his effort in the meat of the game. The final line says it all: 27 points, six boards, three assists, and three three-pointers in helping the Commodores earn their first NCAA Tournament win since the 2007 Sweet 16 team. Sights & Sounds. Despite the fact that Albuquerque’s own Lobos were playing during this game, The Pit was mostly full during action, and with plenty of locals among the crowd. While Vandy and Harvard each had chunks of the fans in the crowd, there were quite a few people in the crowd wearing New Mexico shirts keeping track of the game in Portland by phone or word-of-mouth. The score was announced regularly throughout the game, to nervous reaction from Lobo fans, but once the final was announced, The Pit exploded in approval. Wildcard. Harvard’s sophomore wing Laurent Rivard had a busy day, not only having to shadow Taylor throughout the game, but also providing a big scoring threat for the Crimson. Rivard hit six increasingly improbable three-pointers (the last a fall-away, shot-clock-beating dagger in Jenkins’ face) that helped keep the Crimson in the game. What’s Next? Vanderbilt will face Wisconsin Saturday in what should be a heck of a game. They will need to close with a lot more confidence and they will need to do a better job on the glass in order to advance to the Sweet 16. Welcome to hoops season, Pac-12 fans. Yeah, we’ve had seven games this week so far (including a couple featuring Arizona), but let’s face it: tonight is the real opening night. We’ve got 131 games on the docket involving Division I teams, and we’ve got seven Pac-12 teams in action (Oregon State and Washington hold their openers on Saturday evening, while Washington State and Utah will wait until Monday to get going). And while fans of each team will be interested to see exactly how their teams look in their first official competition, the one Pac-12 game tonight that should have fans around the country interested is Oregon’s trip to Nashville to face the #7 in the latest RTC poll, Vanderbilt. And while the basketball matchup with the Commodores may only serve as prelude to the main event for most Duck fans this weekend, for us hoops junkies, this is every bit as worthwhile. While Oregon head coach Dana Altman was hoping to put together a solid schedule this season, opening the year on the road in one of the tougher places in the country to play, Memorial Gymnasium, was not necessarily the goal. But a road game with Auburn fell through in August and Oregon had to scrape around to find a replacement, eventually landing on Vandy (the ‘Dores will return the favor with a trip to Eugene in future years). Zach Hayes is an editor, contributor and bracketologist for Rush the Court. Follow him on Twitter @zhayes9. With the completion of the NBA Draft and the annual coaching and transfer carousels nearing their ends, RTC is rolling out a new series, RTC Summer Updates, to give you a crash course on each Division I conference during the summer months. Our latest update comes courtesy of our SEC correspondent, Gerald Smith. This season he will be covering the NCAA Basketball with zeal, nerd-culture references and a fistful of silliness at halftimeadjustment.com. You can also follow him on Twitter (@fakegimel). One Big, Mostly-Happy Conference: After several years of divisional lopsidedness in conference scheduling and tournament seeding – to the dismay of programs like Alabama — the SEC has merged the West and East divisions for basketball. 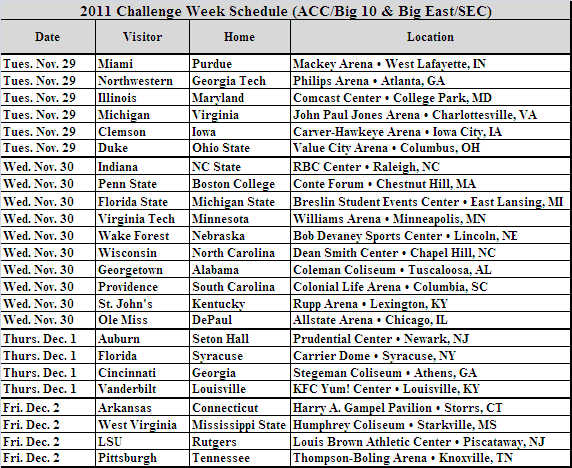 A 16-game conference schedule, consisting of the same pairings within and across old divisions, remains for the 2011-12 season. Starting with this year’s SEC Tournament, teams will be seeded and awarded first-round byes by their overall conference record. The most vocal dissenter against peace, conference unity and love was Mississippi State coach Rick Stansbury. He argued unsuccessfully that divisional championships create excitement for the fans. MSU athletics must have sold some awesome merchandise for Coach Stansbury’s six SEC West Division championships. Too Much of a Good Thing? – Stansbury also argued that a united 12-team conference won’t produce a true champion unless each team plays a full 22-game home and away conference schedule. In July’s coaches’ conference call, some SEC coaches (South Carolina’s Darrin Horn & LSU’s Trent Johnson) agreed, but wonder if such a schedule is feasible. Other coaches (Kentucky’s John Calipari & Alabama’s Anthony Grant) believe that teams should worry more about strengthening their non-conference scheduling and RPI ratings. Increasing the schedule to at least 18 games would placate athletic directors and the SEC’s broadcast partners, but would add further scheduling imbalance and hysteria. In meetings, the decision to increase the number of conference games was postponed until after the 2011-12 season. The SEC coaches will meet again later in August to debate their options. Missouri Newbies – Two coaches previously employed in the Show-Me State join the SEC during this period of conference remodeling. As an assistant under former Arkansas coach Nolan Richardson, new Arkansas coach Mike Anderson became very familiar with the “40 Minutes of Hell” system (and Coach Richardson’s snakeskin boot collection). After stops with UAB and Missouri, Anderson returned to Fayetteville to replace John Pelphrey. Caught lying to cover-up his impermissible BBQ — mmmm… impermissible BBQ… *gurgle noise* — Tennessee was forced to fire Bruce Pearl. Missouri State’s Cuonzo Martin was hired to fill Pearl’s vacated orange blazer. With his athletic director resigning and additional NCAA penalties applied to his program, Martin may long for his past days in Springfield. It’s about time the SEC and Big East followed suit. 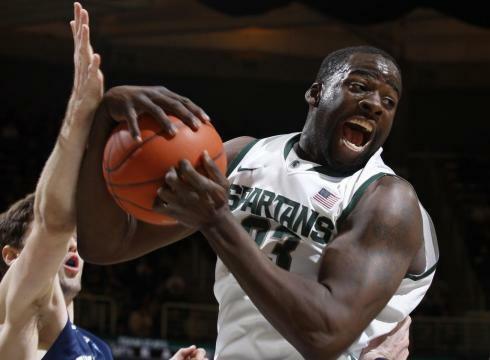 Last week, those two esteemed conferences made it official: they plan on following the path set by the ACC and Big Ten, expanding their annual showdown to include (nearly) all members in a nationally televised spectacle creating enticing matchups that most cautious coaches would normally eschew (exception: Tom Izzo). 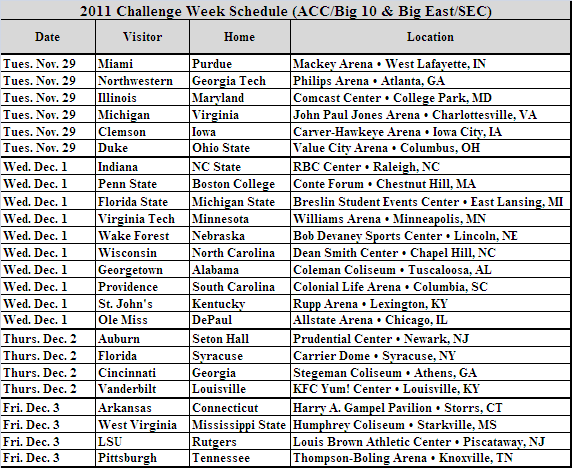 The ACC/Big Ten Challenge, buoyed by ESPN’s services and the strangely captivating quest for the Big Ten to finally upend their ACC counterparts, has been a roaring success since its inception even through peaks and valleys in terms of talent level. Florida backcourt vs. Syracuse backcourt – Two teams with Final Four aspirations next season for one primary reason: the strength of returnees and newcomers in their backcourts. Florida, periodically to their detriment, are overly reliant on their diminutive backcourt duo of point guard Erving Walker and three-point gunner Kenny Boynton, a trend that won’t recede with the departure of both Chandler Parsons and Vernon Macklin from the front line. Two-guard extraordinaire Brad Beal might be the best of the pack the minute he steps on campus as a pinpoint shooter and ace defender and Scottie Wilbekin saw ample time as an underage freshman. Syracuse has Big East title aspirations mostly due to their experienced backcourt returnees and double digit scorers: two-year starter Brandon Triche and fifth-year senior Scoop Jardine. Throw in combo guard Michael Carter-Williams, a McDonalds All-American that can spell Triche at the point and also fill it up, elite shooter Trevor Cooney and scorer Dion Waiters (provided he smoothes things over with his coach) and the Orange are even more stocked than the Gators in their backcourt. As it almost always the case: it’s a guard’s world, we’re just living in it. Jeffery Taylor vs. Kyle Kuric – Other than possibly Duke-Ohio State (couldn’t Carolina have paid a visit to Columbus or was Roy Williams not too anxious to embark? 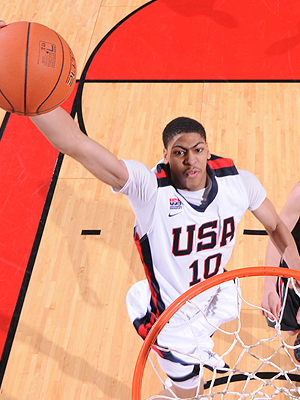 ), the best matchup set by the powers-that-be are potential #1/#2 seeds Louisville and Vanderbilt butting heads. This winter is shaping up to be the most exciting season in Vandy basketball history provided they tighten up their defense and avoid yet another first round collapse. Those expectations were set when John Jenkins, Festus Ezeli and Jeffery Taylor, the latter a possible lottery pick, elected to skip the draft waters and return to Nashville. Taylor’s offensive repertoire has expanded since arriving on campus, but he’s always been known as a star defender because of his outstanding athleticism, length and ability to guard multiple positions. He may not face a more imposing threat in 2011-12 than Kyle Kuric, the sneaky quick and bouncy sharpshooter from Louisville that connected on 45% of his treys as a junior. Watching Taylor chase around Kuric for 35 minutes should be a sight to behold.